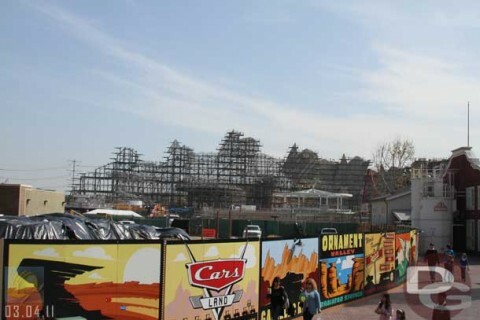 One of the most striking visuals of Cars Land, that we have been able to see so far, is the Cadillac Range. 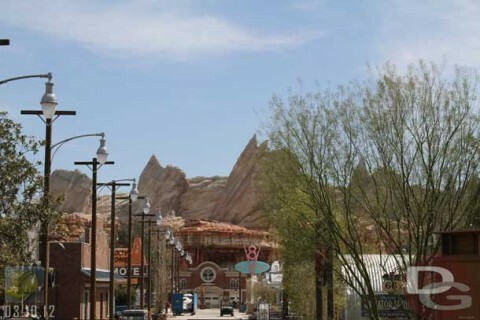 This mountain range is the backdrop for the land and features tail fins from 1957 to 1962 Cadillacs. Below are a dozen pictures showing the progress from a fairly wide perspective (anyone interested in a close up view of a fin or two over time?) 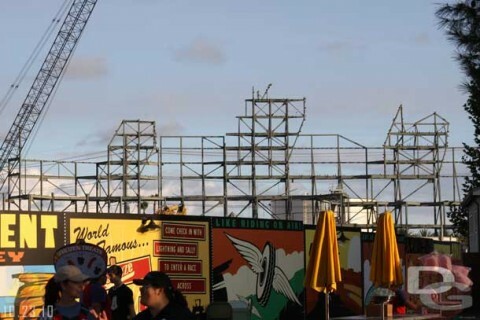 These were pulled from the Construction Progress section so if you would like to see a more detailed look at the progress be sure to stop by if you have not. 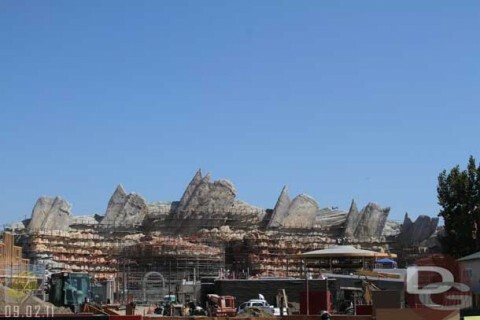 October 23, 2010 – About 19 months till opening you can see the outlines of the fins starting to take shape. 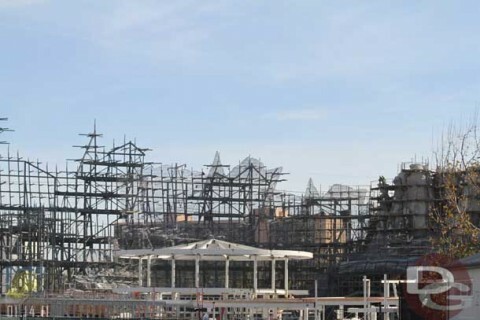 December 23, 2010 – Two months later and you can now see the outlines of the fins and the toothpicks that will support the scaffolding are in place. 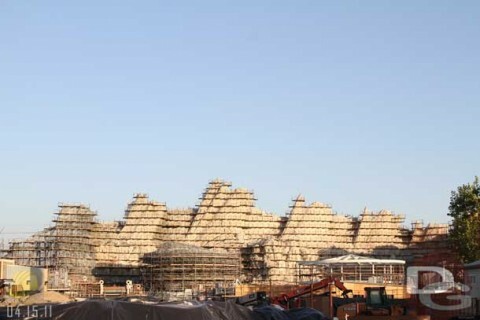 January 14, 2011 – Within a month from the last picture they have started to install the mesh that will really give the fins shape. 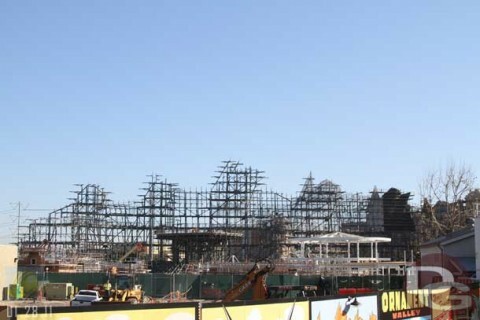 April 15, 2011 – Only 14 months till opening day. 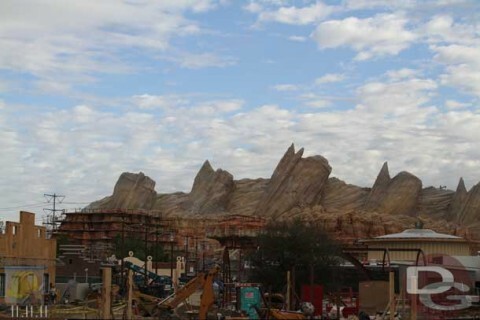 Almost all the concrete has been applied to the range. 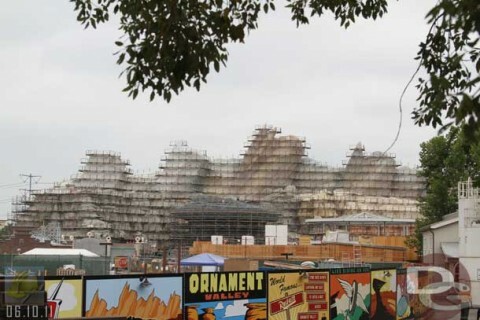 June 10, 2011 – Only a year till opening. 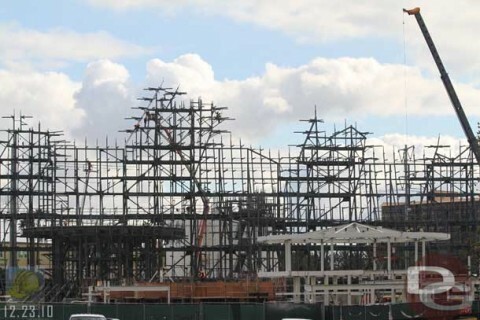 Here you can see the first coat of concrete is done and the second coat and painting are moving across. 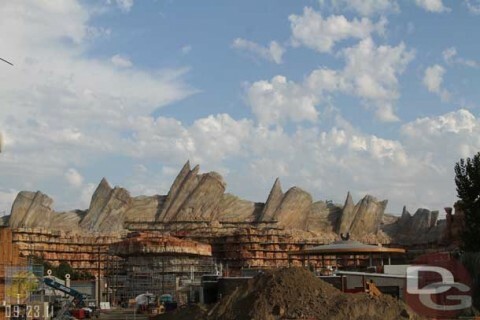 September 2, 2011 – By September the scaffolding had been removed from the top portion of the range. 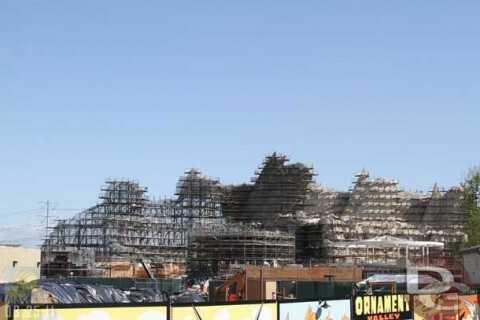 March 10, 2012 – Only three months till opening and the range is done. 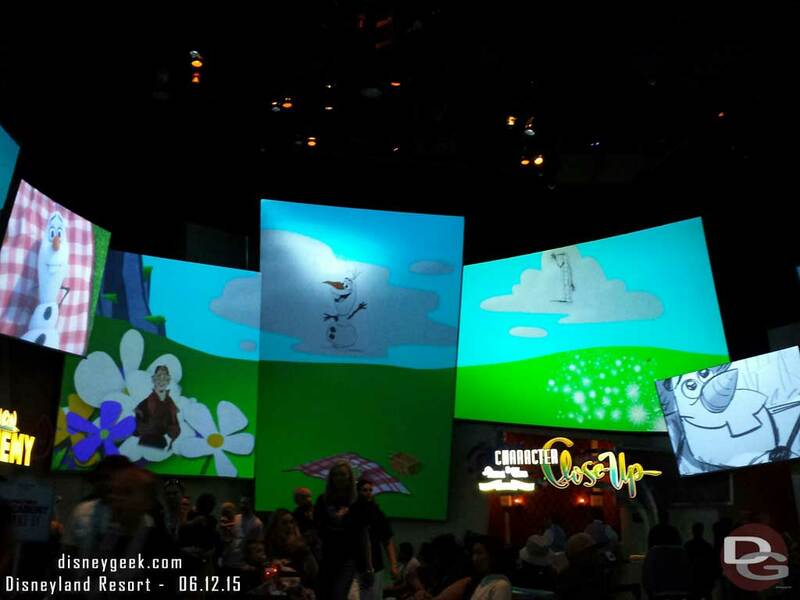 Hard to get a clear shot from in the park now with all the trees from the angles that are currently accessible.